Wear your shiny new kit on your next ride! * For 2019: We are no longer keeping an inventory of kit at Speed River Bicycle. Your order will be assembled and then dropped off at the shop for you to pick up. During the riding season orders will be dropped off at the shop each Monday. Your kit will be available starting on the Monday following when you placed the order. Once the order has been dropped off at Speed River Bicycle you may pick it up at any time. Unfortunately, neither the club nor the shop can accommodate/facilitate exchanges of apparel. Something not fitting quite right? We suggest you look to coordinate a swap with another member by posting to the ‘Club Classified‘ section of the forum. Our redesigned kit from 2018 returns for 2019! In 2018 the overall design, colors, and sponsor logos were revamped, providing a completely different look for the season. 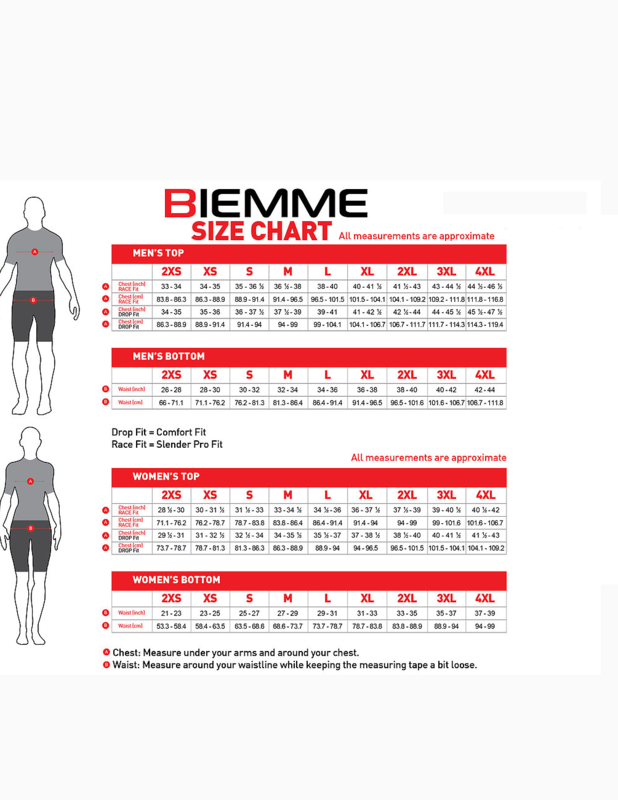 In addition, we changed suppliers to Biemme Sportswear, so please be sure to consult the size chart. All jerseys feature a full zipper and 3 back pockets. See below for a preview of the kit design, or the individual images of each piece on the CCN site.